I have an idea for an App - what can I do now? You have a unique app idea and now do not know how to proceed? How does the idea of the finished app and how people pay attention to it? In the Apple App Store, there are more than 1.5 million apps and even more in the Google Play store. It accounts for just under 22% to 10% on games and business applications (Stand: 2015). If you believe the Apple advertising, so is an appropriate application for almost everything available. In most cases there are even numerous apps that offer a similar or identical functionality and exactly the same objective. So that you can be successful with your App idea, it should offer certain uniqueness. It is therefore worth, both in the App Store of Apple as well as in the Google Play Store to initiate a search and find out if there is something with the same idea. If you are still not convinced, even after the research to be able to provide with your idea on the App Store for a real value, you should your project a critical look from all sides. Surely you are convinced and enthusiastic about your own idea. It can therefore be useful in this step, to use an expert. We are happy to assist and analyse your ideas regarding the question of whether they can prove successful in the App Store. 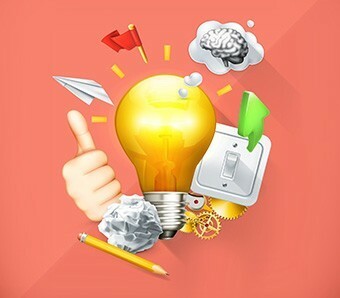 Due to our longstanding experience in the field of app development and the myriad of tests carried out, we can estimate very well how promising great success is your app idea. In the last step, we are faced with the question of who is to develop your idea to a finished app. By this time our app agency comes into play. We can understand that you initially not wish to disclose your app idea, because you're afraid that your intellectual property might be stolen. However, it is the most efficient and most effective when we work together with you and speak directly about your idea. For this, you may like to arrange a personal meeting with us. We assure you, we jointly implement your app idea exclusively with you and do not divulge to third parties. Otherwise, we would lose our good reputation with other App-Programming. If you want to implement your idea even after the review and even without any programming skills, please contact us for more details of the development, so that we can coordinate with you and the idea will soon be a fully functional app.